I have presbyopia and always wear reading glasses. But sometimes, it is boring. So, can i wear contact lenses for reading instead of eyeglasses? Of course you can. Because one of my friend has same experience with you. He has presbyopia, too. And he doesn't like wearing glasses, so he buy a contact lenses for himself. Every time he is reading, he will wear contact lenses. In his opinion, contact lenses are more convenient rather than glasses. Moreover, contact lenses won't influence his beauty. So he choose contact lenses for reading. All in all, you can wear contact lenses when you are reading. There are different types of contact lenses which deal with not being able to focus close up to replace Reading glasses. If you want contact lenses for reading, you can choose bifocal contact lenses with two distinct lens powers â€” one for your distance vision and one for near. Some multifocal design somewhat like progressive eyeglass lenses, with a gradual change in lens power for a natural visual transition from distance to closeup is also good for you. You should not wear contacts that are designed only for distance vision. reading glasses are designed for people with presbyopia to see clearly an image that is within arms distance. However, contact lenses are designed to correct someones underlying vision correction. So it is better for you to go on wearing reading glasses, which is good for your eyes. If you do insist on contact lenses, you may try mulitofocal contact lenses that can correct for both some distance vision and some near vision. They work well on many eyes, but not all. To sum up, I'd like to suggest you to ask doctors for professional advice. You'd better not. Firstly,there's hardly any contact lenses for people who have presbyopia in the market. You need to order pairs of these contact lenses. Secondly, people who have presbyopia can see things in the distance. But they can't see things near. It's very complicated for you to see things in the distance with contact lenses. Thirdly, I think it's troublesome to wear and take off contact lenses. People who wear contacts lenses can be infected with eye diseases. 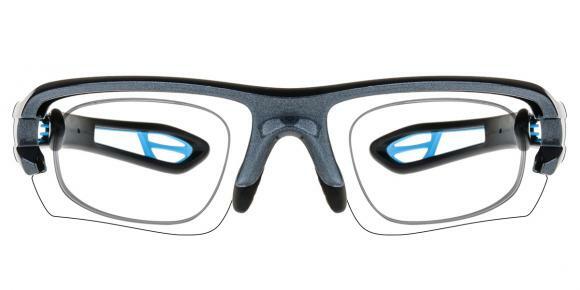 Yes, you can wear contacts instead of the framed glasses in reading. There are two main types of contact lenses designed for presbyopia: varifocal contact lenses and monovision contact lenses. Varifocal contact lenses might be a good way for you to correct your presbyopia if you have naturally moist eyes. They might also be suitable if you have visual acuity in eyes, are able to focus both eyes simultaneously and no disease in your eyelids. Monovision is kind of problem using one eye for distance vision and the other eye for near vision. I guess you know what kind of presbyopia you are and find which fits you better. If you don't know it clearly, your doctor will tell you. But if you didn't have prescriptions before, it may difficult for you to adapt to the contacts, so you need learn how to wear them and adapt your eyes to them. If the above mentioned factors are well, the doctor will check your eyes prescription, including the exact diopter and corneal radius. When you finish all these exams, you can have a fitting except you have the following eye disease: dacryocystitis, serious trachoma, spring catarrh conjunctivitis, keratitis, blepharitis, glaucoma and diabetes mellitus. Hope everything is going to fine! I suggest you'd better not. As we know, reading glasses are made for those who have presbyopia and have problems in reading things at a very close distance. However, contact lenses are for people who are near-sighted and can't see things far away. These two kind of lenses have totally different function. Therefore, I think you'd better not wear contact lenses for reading instead of eyeglasses. If you are still confused, you can go to your eye doctor and ask for his help. Yes, there are prescription contact lenses for presbyopia. But as we know, reading is not an easy task for our eyes, wearing contacts can be another burden when we are reading. So you'd better have another pair of reading glasses, and take them as alter. Otherwise, people with presbyopia have less power to regulate the eye muscles, so it's easier to get eye fatigue. So make sure don't read with contacts too long, take some break or make a change to wear reading glasses. How to remove a stuck contact lens from eyes? Is it ok to soak contacts in eye drops? Can i wear contact lenses after pupil dilation? what to do when eyes itch from allergies? What happens if you sleep in daily contact lenses? Does vision really get much better after the Lasik surgery? Why so many people in malaysia wear fake eyeglasses? Is there any manufacturer makes polarized glasses without any tint? 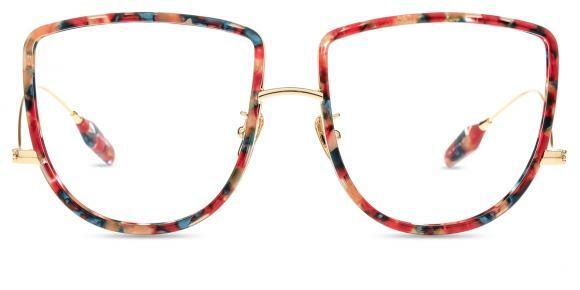 Where can I get glasses that protect your eyes from the computer glare? Should I have lasik surgery to fix my vision? My eyes feel dry & vision blurry, do i need computer glasses? What eye drop is useful to solve dry eyes problem after a LASIK Surgery? Can you give some feedback for Lasik surgery? Is it safe to your vision to wear clear eyeglasses?